There are tons of ways to stay active and keep fit this summer. And just as every senior has a different personality, their hobbies and interests vary, as well. Summer is the perfect time to indulge in some of the things your loved one likes to do. So Freedom Home Care wanted to come up with a list of fun, safe activities you and your loved can actually enjoy doing together. It’s always beautiful out this time of year. It’s even better if you live near a river, lake or some place else that allows you to fish, while taking in nature’s peaceful surroundings. 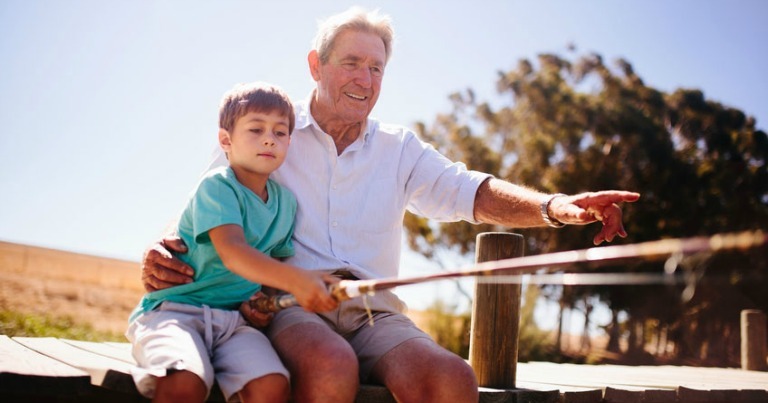 Additionally, seniors will also find quite a few benefits associated with fishing like a non-strenuous upper body work out and a reduction in stress. Who doesn’t love the picture show? It’s not only an awesome experience to see your senior watching their favorite actors or actresses on the big screen, it’s also a great way to beat the heat in a cool, well air-conditioned environment. Take your senior and the rest of the family to a little league baseball game. Here, they get the opportunity to see their grandchildren play their favorite sport, while participating by cheering them on from the sidelines. Swimming is a good low-impact exercise. It’s a great way burn calories and prevent some age-related changes in the body like reduced mobility and chronic pain, at the same time. If your senior is wheel-chair bound or experiencing issues with mobility, gardening is something he or she can do in their own backyard. With your help, they can beautify their home by planting flowers or even grow their own food. There are hundreds of ideas on sites like Pinterest that your loved can do from a senior center, while receiving home care services or anywhere else they might be. It’s also a great way to create new keepsakes, document family history or organize childhood memories. Not only has it been proven that music can provide a way for loved ones to connect if they have trouble communicating, it also helps increase cognitive function, regain speech and mobility, reduce depression, lessen agitation, and raise levels of engagement.